Your Ooma Home smart security system just got better with hands-free security controls through Google Assistant! With the Ooma Home security system, you already have remote access to an unlimited number of door and window sensors, motion sensors, video security cameras, garage door sensors, and water detection devices. While it’s powerful to control your smart home security system at the touch of a finger using the Ooma Home Security app, it’s even more convenient to control your security system using voice commands. In addition to voice controls using Amazon’s Alexa, Ooma Home can be controlled by Google’s voice assistant. Find out what Google apps and devices you need, which commands you can use, and how to get started. 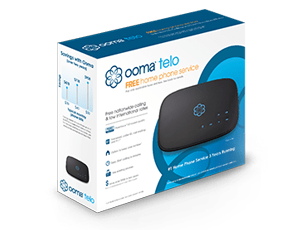 What Do You Need to Control Ooma Home with Your Voice? To enable hands-free control over your Ooma Home security system, all you need is Google Assistant. It works with a Google Home smart speaker or a smart device that has Google Assistant built in. This could be a smart TV, a smart speaker, a wearable device, your car, or one of many other internet-enabled devices. You can also use these hand-free security controls with just the Google Assistant app on your smartphone. For iOS users, this functionality is available for devices with operating system iOS 10 and above (approximately devices after 2016 or the iPhone 7 and later). For Android users, this functionality is available for devices with operating systems 5.0 and above (approximately 2014 and later). Follow this with your Ooma Home PIN code. With these voice commands, you’ll be able to halt sensor activation notifications, and you can silence the piercing 105-decibel siren, if you have one installed. Subscribers to the Ooma Home Secure plan already have access to a hand-free security experience through the geofencing feature that enables location-based mode switching. With geofencing, the system will automatically disarm when it detects your phone’s GPS position is within a radius of your home. With Google voice commands, all Ooma Home users have the option to use hands-free security tools. Additionally, the functionality can be extended to all members of the household, as well as to service providers such as dog walkers or trusted repair people. If everything is fine, your Google Assistant will reply with a confirmation that, “All sensors are normal.” However, if you have a sensor that’s triggered, it’ll list the sensors so you know which doors or windows you need to close. To use the Ooma-Google integration on any device, use the Google Home app or Google Assistant app on your smartphone. Next, find the Ooma Google action by clicking Explore and searching for Ooma. 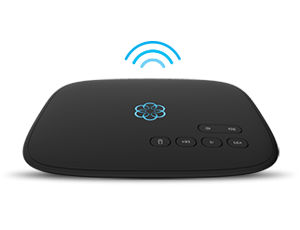 Tap the Link button and sign into your Ooma account. Tap the Active button to activate the link between Ooma and Google Assistant. Now, you’re ready to start using voice commands with your Ooma Home security system. Keep in mind that the default PIN for Ooma Home is 0000. We recommend you update it to a unique code, which you can do via the Ooma Home Security app. Learn more about the digital innovations of Ooma Home security system. Dmitry Maslov is a Senior Product Manager driving development for mobile applications and security services at Ooma. Dmitry has a diverse background and a wide range of interests (prior to Ooma, he has been responsible for product development in travel, design, publishing and security industries). When not fighting for a good UX, he enjoys hiking, challenging stereotypes and generating winning solutions at hackathons. Can Smart Water Sensors Help Prevent Flood Damage?